Join the citizens of the Middle Kingdom as we continue our series, Unveiled, and dig into what the Old Testament has to say about Jesus as type. What are some ways the church is guilty of idolizing objects? Do you think this connects with the second commandment? What excites you about Jesus being the true and better Temple? Read through Hebrews 4 and discuss how Jesus is our fulfillment of the sabbath. If Jesus fulfills the sabbath is there a sabbath principle still in effect today? How have you been guilty of living off last year’s manna? What are some practical ways that Jesus has been our manna this week? Do you think the tree of life is teaching us anything about Jesus? Trace it’s appearance throughout the Old and New Testament. 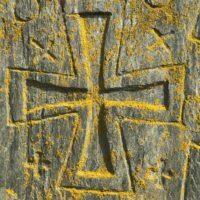 What are some other Old Testament objects that teach us about Jesus and what are they teaching us?